The million-dollar question that has been bugging geeks since the dawn of bigwigs like Godzilla and Cthulhu surely pertains to – who exactly is the biggest monster in terms of size, from the vast ambit of our ever-thriving pop culture? Well, we will TRY our best to address that crucial query, with the said monster’s stated individual height that has been envisaged in any particular pop cultural adaptation. And, in case you are wondering – yes, the list will also include robotic giants (but exclude spaceships and ‘death stars’), since they have been making their recent forays into the realm of movies and video games. A fire drake concocted from the genius mind of the one and only J.R.R. 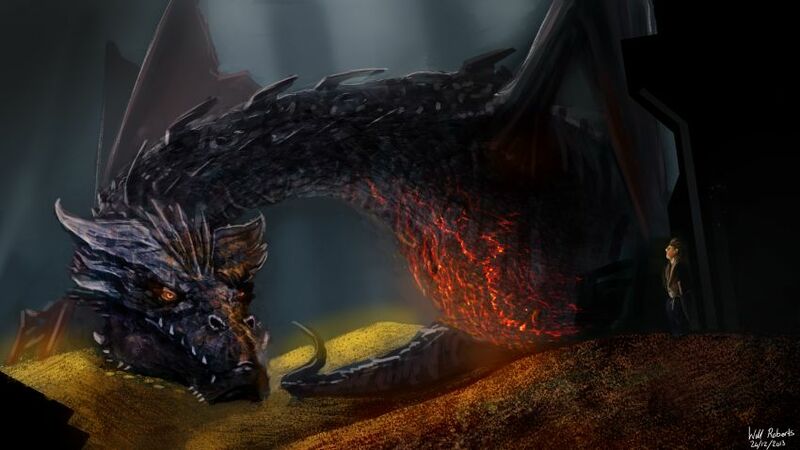 Tolkien, the Smaug was brought to life in Peter Jackson’s movie adaptation ‘The Desolation of Smaug‘. And, as opposed to other non-personality monsters, the Smaug was psychopathic, greedy and most of all arrogant. Of course, we are not here to talk about characterizations; rather we want to harp about sheer size, and regarding that – the drake just about makes it with its 200 ft height (as depicted in the film). Now, Lord of the Rings fans shouldn’t be too disappointed, since the monstrous creature can expand up to 130 m (426 ft) when it has stretched its entire wingspan. Adding to this enormous ambit are those golden gleaming eyes and the growling resonant voice; thus transforming Smaug into more of a stately villain, than just a ponderous beast. Mentioned as overtures in ‘A Song of Ice and Fire‘ book series by G.R.R. Martin, Balerion the ‘Black Dread’ was the largest of the Targaryen dragons, and the gigantic mount of Aegon the Conqueror himself. 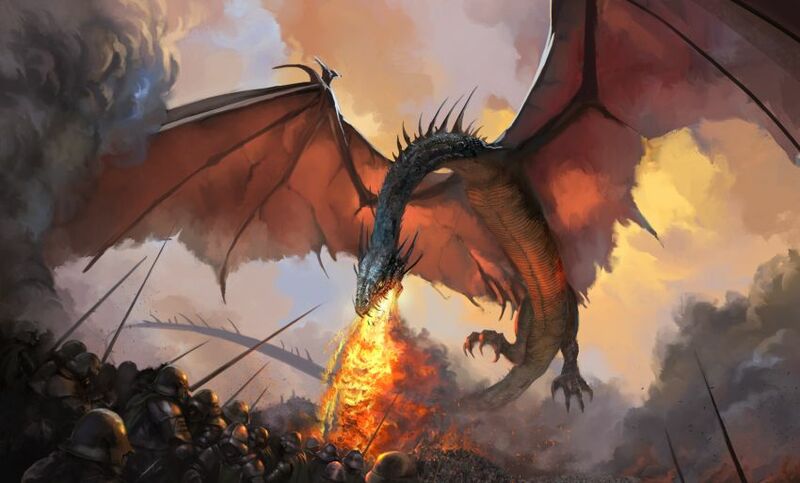 He was supposedly instrumental in conquering the whole of Westeros – a wondrous feat epitomized by the vicious incident of Field of Fire, when Balerion along with his kin Vhaghar and Meraxes burned 4,000 of King Mern’s men to death. In terms of description, Martin has explicitly mentioned his sword-like teeth and his huge jaws that were massive enough to swallow an entire mammoth. However, Balerion’s biggest claim to fame in the book’s ‘current state of affairs’ is his contribution to the crafting of the renowned Iron Throne – which was forged by the swords (melted by the dragon himself) of Aegon’s enemies. Nicknamed the ‘Clover Monster’, interestingly the back story to this gargantuan entity (without a proper name) is only found in the manga ‘Cloverfield/Kishin‘ that was released as part of a cross-media tie in with the 2008 movie Cloverfield. Here it mentioned that the Clover Monster is originally a deep-sea creature that grew to its humongous size by consuming Seabed’s Nectar – which is a naturally occurring steroid-like substance that aids in exponential cell growth and alteration. 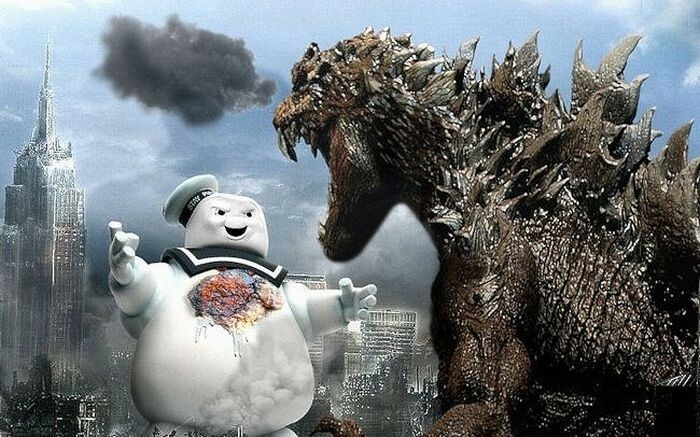 In any case, in accordance with the movie’s depiction, the monster is portrayed as having ultra-thick skin which is both efficaciously heat and pressure resistant. As for its monstrous dimensions, the massive creature rises to a height of 268 ft in its quadruped pose (and 350 ft in an upright pose), while having a weight of 5,806 tons! In the conventional sense, the Raiju is actually a legendary creature from Japanese mythology, and its name translates to ‘thunder beast‘. In essence, its body is derived from lightning matter, while being shaped like a large wolf (or even a weasel) with white and blue streaks. The movie’s depiction of the aquatic and carnivorous Raiju is somewhat inspired by this lightning part, and as such it is represented by a bluish bio-luminous head that is further encased within a tripartite jaw of an outer ‘head’. However, the conspicuous physical characteristics are not really similar to its mythic counter part, with the movie version showcasing clear influences from reptiles such as crocodile and iguana. And, in case you are wondering about its weight, it is somewhere near a whopping 3,475 tons. A transliteration of the term Gojira (which pertains to the combination of gorilla and whale), Godzilla needs no introduction to monster fans. Still going down the history lane, the daikaiju made his film debut way back in 1954, and has gone on to star in 32 more movies. But the ‘King of the Monsters’ had his biggest avatar ever in the last movie co-produced by the collaboration of Legendary Pictures and Warner Bros. Pictures. Interestingly, in spite of such hulking credentials, he is shown to be more territorial and a bit ‘thoughtful’ – given that the monster doesn’t go out of its way to destroy human properties (or human beings themselves). 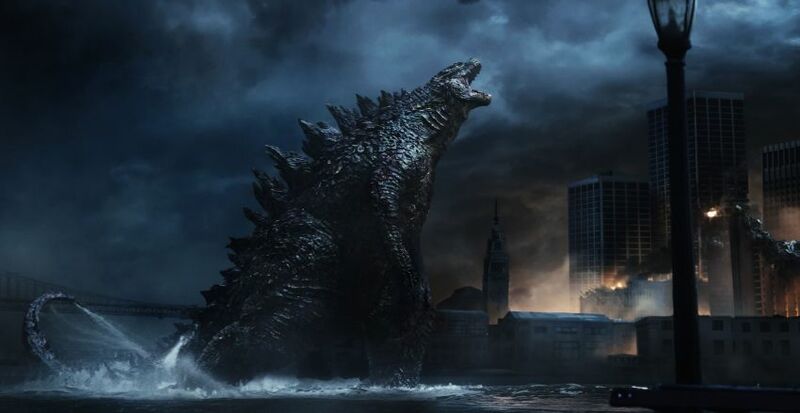 Interestingly, there are also other bits of trivia associated with the 2014 version of Godzilla; like his roar reverberates to a distance of 3 miles, while his mouth accounts for 60 teeth and his volume accounts for an astronomical 89,724 cubic m. Furthermore, his main adversary in the film – the mother M.U.T.O., goes up to 300 ft (91.4 m) in height. 6 Comments on "Halloween Special: 10 biggest fictional monsters from our pop culture!" Well, this site kind of got it wrong: A Reaper Destroyer from Mass Effect is only a few hundred feet tall, but a Sovereign Reaper and Harbinger Reaper are both over 6,500 feet tall (2000 meters). Harbinger Reaper and Sovereign Reaper from Mass Effect are both over 6,500 feet (2000 meters) tall. 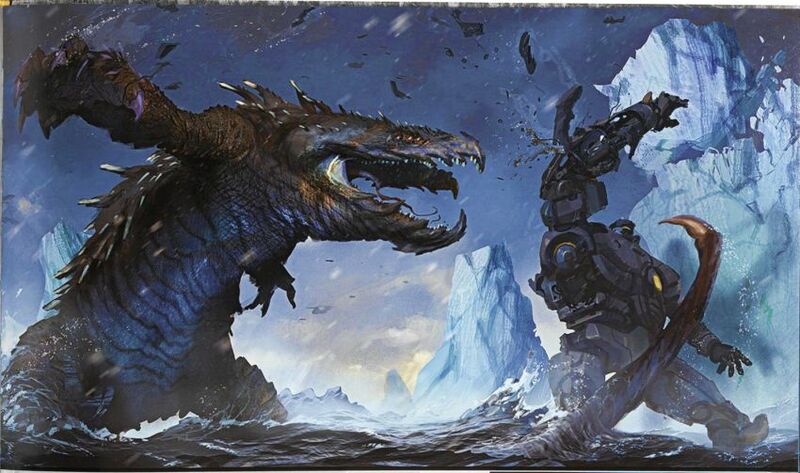 Harbinger is more massive. A Reaper Destroyer is a couple of hundred feet. So, yeah, Harbinger from Mass Effect is more than twice as big as a Space Slug, Giant Thranta, or a Colossus Wasp. Yeah, not sure where this site it getting its info on a Reaper from Mass Effect, but Reapers are 2000+ feet tall, making them larger than all of them. In terms of organic life, either Kalros from Mass Effect or King Gidorah would be larger than all of them. This list should have the sandworms from Dune. Those things were 450 METERS long. Thinking the same thing. They also left out the giant space worm from Empire Strikes Back. Of course, the biggest fictional monster was the massive single cell space creature from Star Trek. Agreed. The Space Amoeba from Star Trek is over 11,000 miles long!